Moon and its craters photographed on 28th May, 2015. 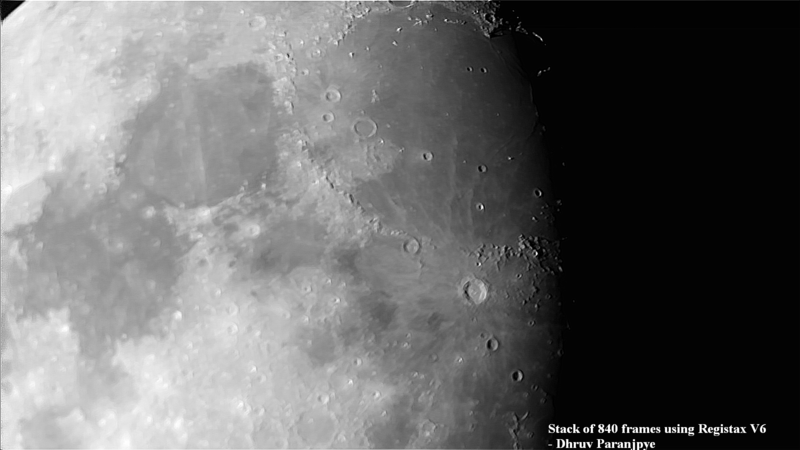 Note this a stacked image from a video using Canon 600D along with a Barlow 2x attached a Meade 8 inch. The stacking and subsequent image processing was done using Registax V6. The craters, mountains and ridges have come out unexpectedly beautiful with fine wavelet adjustments in Registax. Also, you can see a crater on the top right edge of the moon partially lit and partially in the shadow.